Something about them has always drawn people to them, in real life and in fiction, for a variety of reasons. They are disconnected from the world and hideaways from life. Some are marooned on them. Pirates love them. They harbor lost worlds and indecipherable mysteries. Film and television has a constant stream of island adventure, but many of those tales, and our fascination with them, originated in books. Treasure Island, Robinson Crusoe, The Island of Doctor Moreau, The Land That Time Forgot and others set the precedent. Perhaps it takes going to the island to learn more about ourselves. Or, at times, just to have fun. The latest finds on Stonehenge indicate it started as a huge graveyard. Stonehenge’s importance for the dead has long been known, but these finds continue to roll back myths about aliens and druids building the ancient structure. There’s a lot of empty space in Pacific Ocean and there has long been speculation of lost lands (and civilizations). 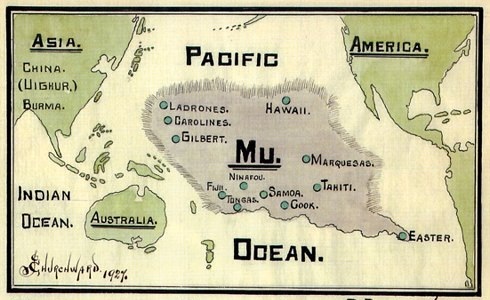 Now the remains of a micro-continent scientists have named Mauritia have been found. The Sahara continues to reveal North Africa was more than a desert in ancient times, giving up remains of stone age peoples. And while the government can’t agree on what to waste our money on next, asteroids have been making a number of visits to Earth as of late. Impact events have changed Earth’s, and our, history in the past. But, hey, Congress is busy buying each other’s votes and pretending they are looking out for you. You have nothing to worry about. I ran across the Wooden Books series nearly ten years ago. These small books are 58 pages long and each cover one topic or another of fascinating interest. They are profusely illustrated in an old-fashioned drawing kind of way and packed with information and history. By now, they have quite a collection of different subjects, many unusual, arcane or esoteric. Many I have no interest in and a few are out there on the fringe (Crop circles? UFOs? No thanks.). There are a number of them that I have found quite good. And here they are. If your interests lie in the underlying patterns and math that describes our universe, Symmetry: The Ordering Principle, Sacred Geometry, The Golden Section: Nature’s Greatest Secret, A Little Book of Coincidence and Sun, Moon & Earth will give you endless paths to explore. If archaeology and ancient history is more your style, Stonehenge, The Mayan and Other Ancient Calendars, Glastonbury: Isle of Avalon and Leys will allow you to begin your world exploring from your home. This is like having a library of forgotten knowledge at your fingertips. Ideas and places that most people have no clue about. When they do crack the covers, they may be surprised that there are far more interesting things to be learned not on their phone or television. Sometimes epic journeys start with small steps.